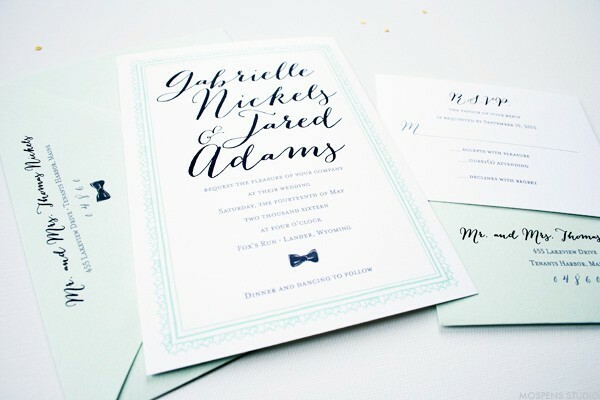 What happens when a hand-painted vintage border, mint green, large names in modern calligraphy font, and custom illustrated black bow ties in watercolor come together in design? It’s MINT TO BE! Our newest vintage wedding invitations design with a modern and fresh fun twist. Black tie without the stuffiness. Show off your modern and hip style with MINT TO BE. 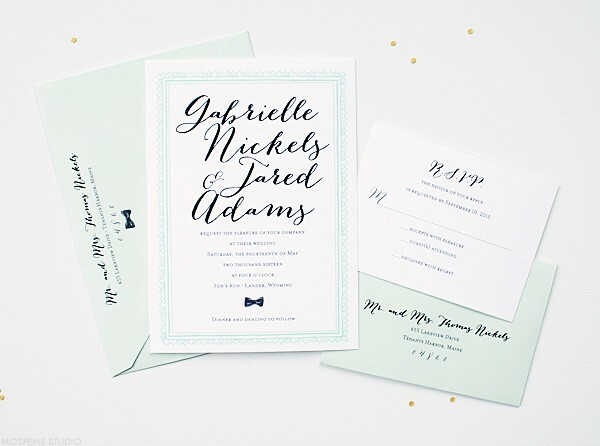 Super sweet and fluffy watercolor bow ties adorn the invite and envelopes. Of course, if you want to boast another motif of ours you are welcome to! Customize away. 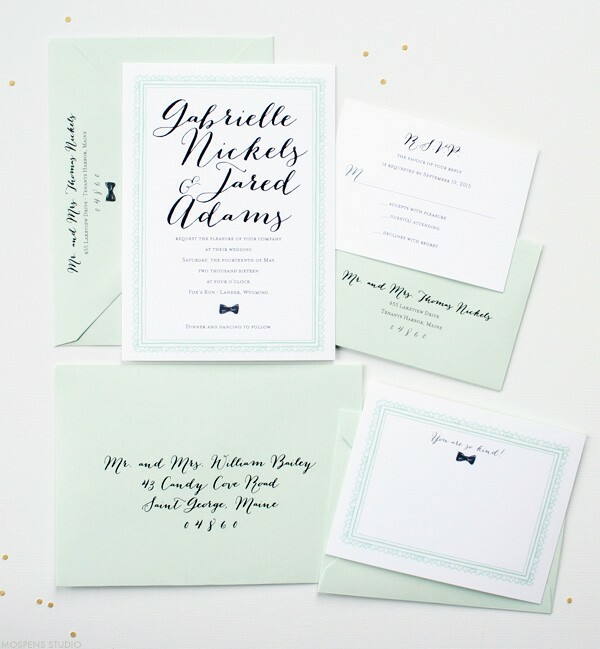 Mint green is fast becoming the number one wedding color at the moment. Vintage wedding invitations with hand-painted vintage border design with a fresh, clean, and modern style. 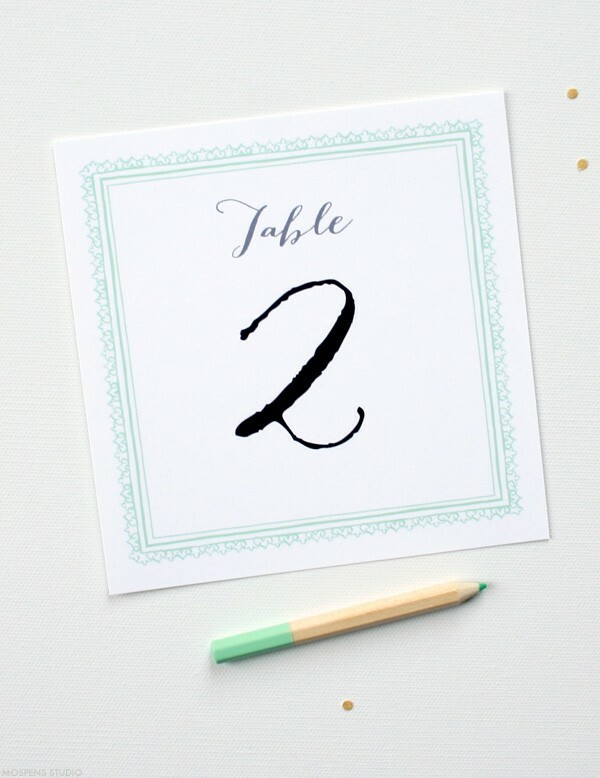 Wedding table card numbers to match of course. You are so kind! 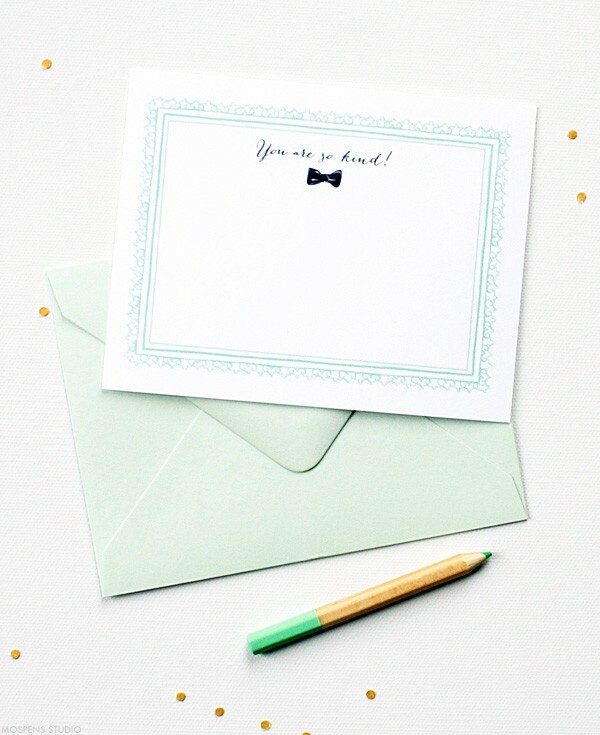 Mint green thank you cards ready for your thankful message full of gratitude. 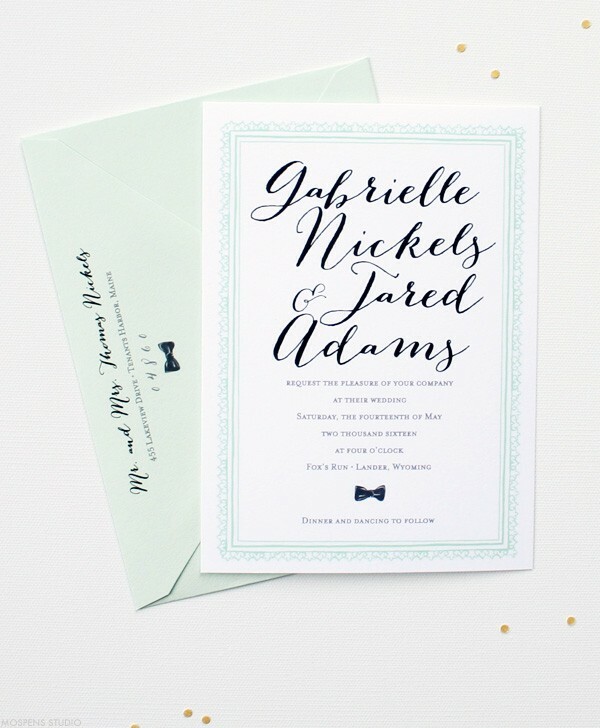 Mint To Be wedding invitations and matching stationery are now ready for their debut at your wedding!